Background: The conversion of biomass to fuels and chemicals is an important technology to replace petroleum as a transportation fuel which will ease climate effects of burning fossil fuels. Recent advances in cellulosic ethanol production have enabled the establishment of commercial scale plants that produce ethanol for transportation fuel. Thermotolerant cellulase enzymatic mixtures from thermophilic fungi are an attractive alternative to currently available commercial cellulase cocktails. Methods: Thermoascus aurantiacus is a thermophilic ascomycete fungus within the order of Eurotiales that was first isolated by Miehe in 1907. 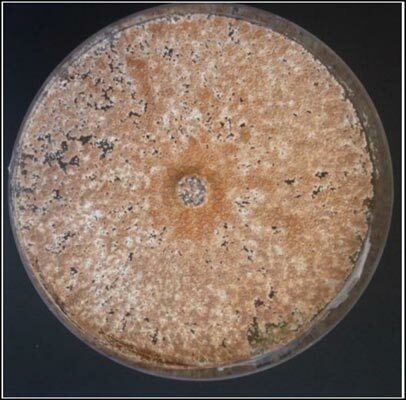 Strains of T. aurantiacus have been isolated from a variety of terrestrial environments, which all have been shown to be homothallic and produce large amounts of ascopores with an optimal growth temperature at ~50C. T. aurantiacus secretes high titers of cellulases (>1 g/L) when grown in the presence of plant biomass substrates and produces a remarkably simple cellulase mixture consisting of GH7 cellobiohydrolase, GH5 endoglucanase, AA9 lytic polysaccharide monooxygenase and GH3 beta-glucosidase. Results: In this mini-review, the biology and enzymology underlying cellulase production are described and an approach to developing T. aurantiacus strains for industrial cellulase production is outlined. Conclusion: The properties of T. aurantiacus and the thermotolerant cellulase mixture it produces may be the basis for new enzymatic cocktails to produce sugars from plant biomass that can be converted to biofuels. Cellulase, thermophilic, fungi, Thermoascus aurantiacus, lytic polysaccharide monooxygenase.